The 28-year-old rapper from east London, whose real name is Ben Drew, performed his record in full for the first time on stage alongside Labrinth, Kano and performance poet John Cooper Clarke. "Thank you to everybody that is here, and everybody who has bought the record. This is a cool venue, isn't it?" he told the screaming crowds at the Car Park in London's Southwark. 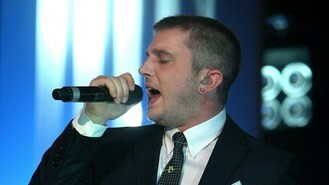 With dialogue and film clips shown on the walls to introduce the songs, Plan B rapped his way through the album which included the title track as well as Playing With Fire (featuring Labrinth), Pity The Plight with John, and Live Once with Kano during the gig, which was streamed live. He performed three more hits including ill Manors for an encore with Chase and Status vocalist Takura. The album, which was released yesterday (July 23), accompanies Plan B's directorial film debut of the same name, starring Riz Ahmed.